North Korea announced a plan to fire missiles at the US territory of Guam in mid-August, and though it hesitated to carry out that strike, it's already overflown Japan with a missile and tested a hydrogen bomb. With Pyongyang getting bolder and its missile threat more dire, the US and its allies must seriously weigh the choice to attempt to shoot down its missiles. 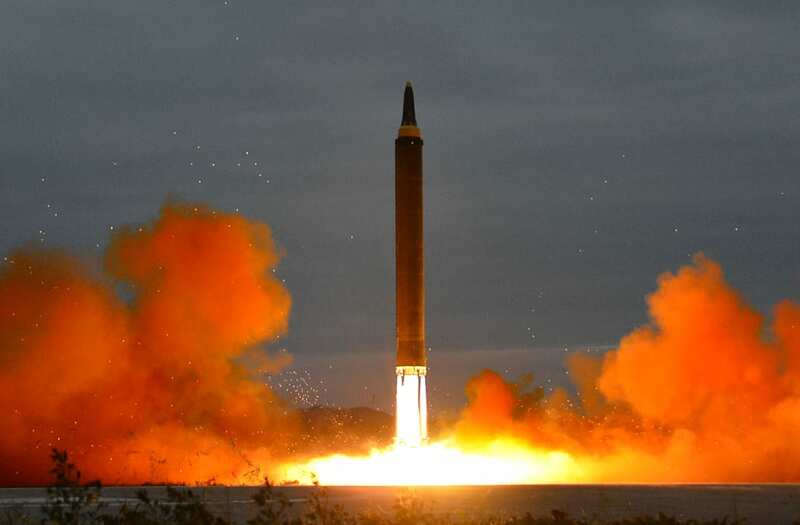 But even with the world's best network of space, land, and sea-based radars and sensors, the US and its allies face a major risk in attempting to shoot down a North Korean missile. If they succeed, North Korea will be humiliated and possibly driven to escalate the situation in other ways. If they fail, then a tremendous blow would be dealt to US missile defense credibility — and North Korea would be more emboldened. In the Center for Strategic and International Studies video below, find out how the US and its allies would take on a North Korean missile strike on Guam.